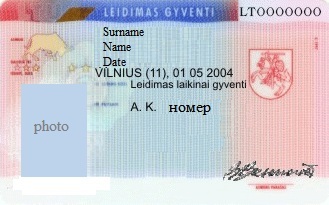 Until now, the law of the Republic of Lithuania “On the Legal Status of Aliens” provided that temporary residence permit in Lithuania can be issued to a foreigner, who wants to start business in Lithuania: foreigner, who made registration of company in Lithuania could provide documents to the Migration Department and apply for residence permit in Lithuania. Since the first of November 2014 this requirement will be not enough - foreigner who wishes to obtain temporary residence permit since November should be actually engaged in lawful activities in Lithuania and do real business in Lithuania. The foreigner is member of the company, which does its activity during the last 6 months. After 6 months term he/she can apply for residence permit in Lithuania. Company should hire at least 3 workers, who will work full day and are citizens of Lithuania or citizens with permanent residence permit in Lithuania. Share capital should consist not less than 100 thousand litas (around 29000 euro), 14500 euro of this capital should consist of investment or other property of the foreigner. Until 1st of November temporary residence permit in Lithuania is issued for 1 full year and after this term is extended for another full year. Since November 2014 temporary residence permit in Lithuania will be given, as before, for 1 year, but after will be replaced immediately for the next 2 years. Foreigners who will invest in business not less than 900 thousand litas (260 thousand euro) and create at least 5 working places will get residence permit for 3 years at once.